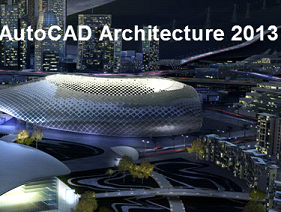 AutoCAD Architecture 2013 is the software created for architects to help design, document, and draft more efficiently, while working within the familiar AutoCAD environment. Our AutoCAD Architecture 2013 training DVD will help you gain valuable experience to improve your productivity right away, as you learn the new features at your own pace. Create building designs and construction drawings, extract views and annotate models, use and create content and work in the drawing management system. Additional new features such as Room book allows for multiple finishes to be applied to each surface, then calculates these surfaces for enhanced room documentation. A detail schedule can then be created and exported into an Excel spreadsheet. Other new features include the transparency control, hatch display component, geometry sharing performance enhancement allow you to work more efficiently. This program will help you learn features and functions in AutoCAD Architecture 2013 to create a building design from scratch and work with 2D and 3D models. Lessons cover both basic and advanced topics including building geometry, sections and elevations, components, and the drawing management system.